One of psycholinguistic subject is tried to find the relation between language and though. How they are able to collaborate to produce communication both spoken and written. In this article focuses on how to master a language in spoken perspective. Speak means produce sound sound which arranged from a number of words or sentences to convey certain meaning to listener or build a communication. Related to language and thought, they cannot be separated. Though refer to idea in mind and language is encode of the idea in a communication. Finally, the purpose of understanding and language production is to build simultaneous relation to master of lexical, syntax, and semantic skills. A baby has some stage to master a language especially speaking since they was born up to 6 six years old. Therefore how the development of the baby learn the language. At age 1, the firs year end : they have concept of their own language to other people not only respond of hunger, thirsty, ask something and so on. They can understand words and use the sound not only for pleasure but symbol of thing and their perception. At age 2, the baby understand language through their hear, ask including spoken, understand syntax like pronoun, article. At age 2 to 5, they understand syntax of mother tongue and learn it explicitly or without learning. Make mistake regularly. They master around 300 words. At age 3, they have syntax structure (subject, verb, object). In 36 month the baby master approximately 1000 words. At age 4, they understand concept of time and make more preposition. In this age they can talk yesterday, today, tomorrow as concept of time. Therefore if they make a mistake or language disorder can be detected. At age 6, They use more noun, verb, adjective even their vocabulary over 2500 words. Each children has different language development, above language learning is average age mostly acquired by children. In learning or acquire language some of child encounter language disorder. The language disorder divided into two major categories. They are dysphasia and aphasia. Dysphasia is language disorder related to development sound device or organs. For instance errors in movement of mouth and tongue in producing sound like saying “tat’ instead of “cat” it is called as articulation disorder. The other kinds of dysphasia is speech delay, a child can’t a talk word correctly like saying “pease” for “please”. However a child has dysphasia disorder they can resolve it without certain exercise, but they will be late to speak. In addition, child who has difficulties to read called as dyslexia. Aphasia is language disorder related to brain damage. Aphasia consist of kinds: Broca’s aphasia and Wernicke’s aphasia. It is distinguish based on the place of brain damage. Broca’s aphasia located in broca. People with this disorder tried to search words and speak in slow manner. Broca’s apahisa also known as motor aphasia or expressive aphasia. The other aphasia is Wernicke’s aphasia or sensory aphasia or receptive aphasia aphasia located in the posterior portion of the superior temporal lobe in the dominant cerebral hemisphere. The aphasia reduce to understand spoken and written language. They do not understand what a speaker says therefore the answer will be different. 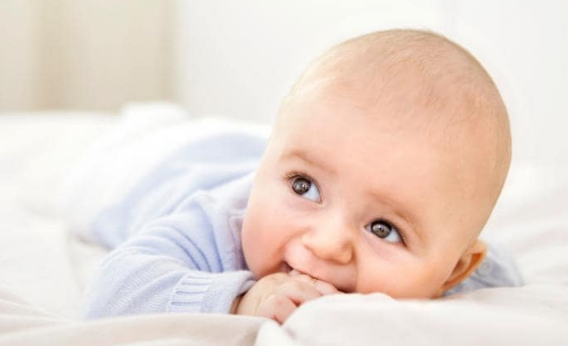 The connection between language and thought is how a baby or child acquire the language and learn language especially how they produce a sound or speak to convey their mind in a communication. To achieve a proper communication a child has a number of stages since first year until mastery more than over 2500 word at the age of 6. To master the language a child has different development. Some of language disorder may hamper language acquisition including like dysphasia and dyslexia which caused a child to speak and read late. Whereas, aphasia causes speak slowly and reduce to understand spoken and written language. 0 Response to "Connection between Language and Thought"